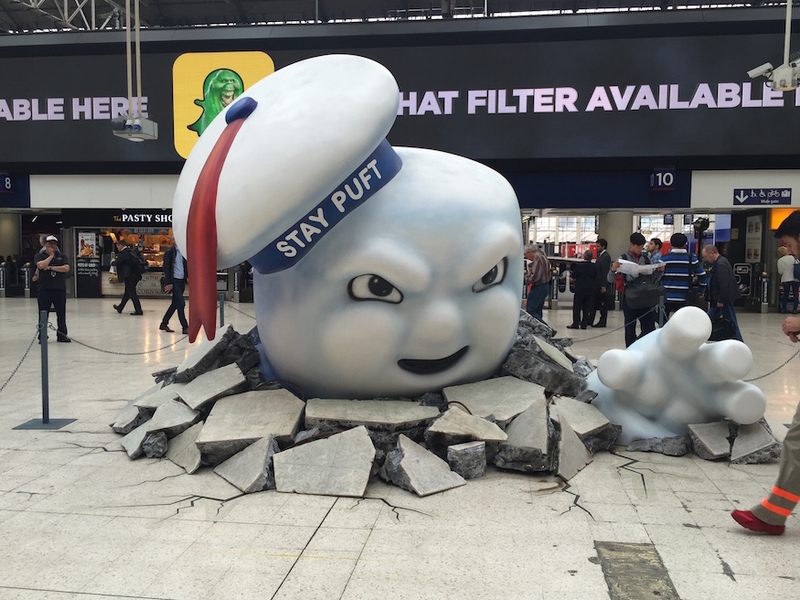 A fun PR stunt for the new Ghostbusters film has raised a fair few smiles at Waterloo railway station this morning. 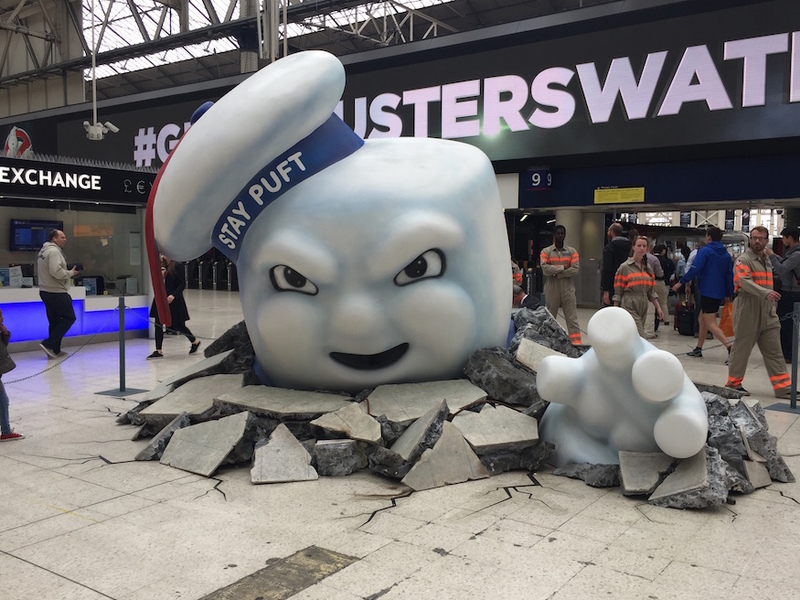 All the hoardings have been taken over by the Ghostbusters team, and a rather menacing Stay Puft Marshmallow Man head seems to have cracked through the station floor. 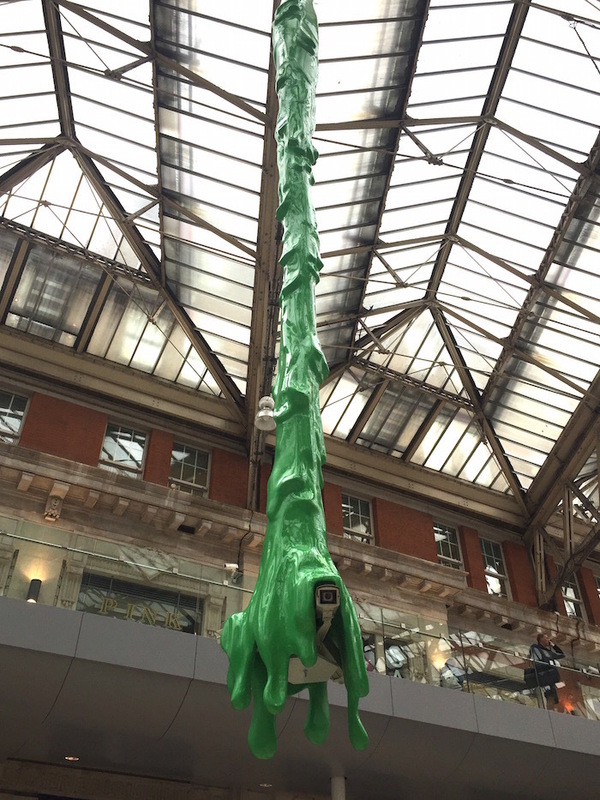 Commuters were encouraged to take snaps of the stunt; both the Londonist twitter and Instagram feeds were quickly full of people sharing the fun. 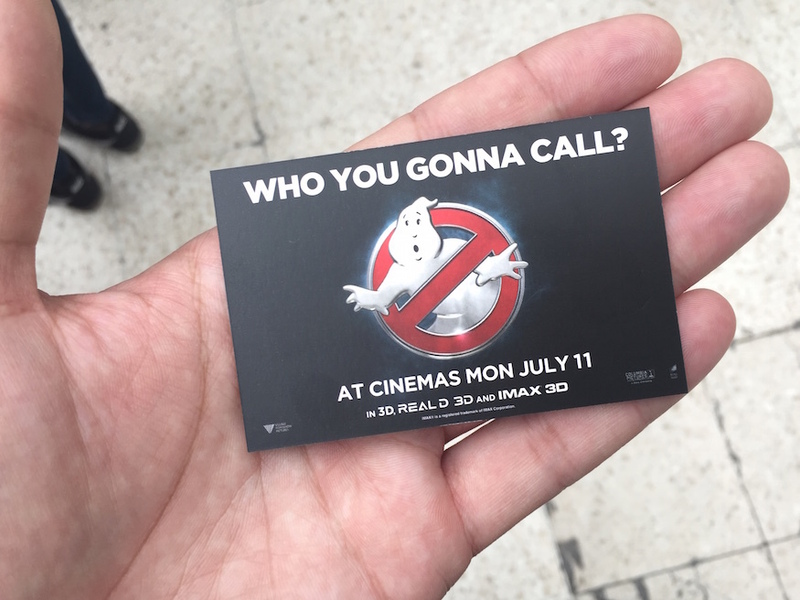 Teams of 'Ghostbusters' have been around the station, taking part in the stunt. ...and onto the station floor. 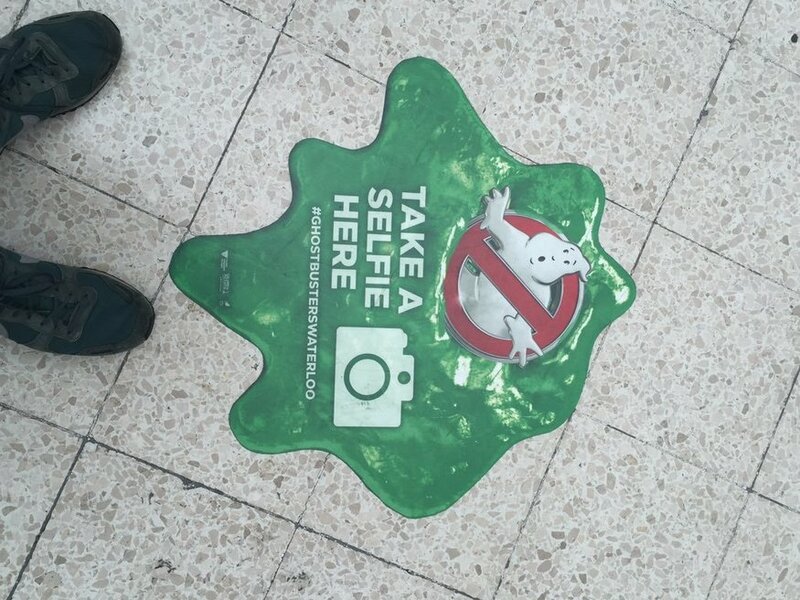 There's also a temporary booth from the Forbidden Planet people at the station, selling Ghostbusters merchandise. As London-based PR stunts go, we rather like it. The new Ghostbusters film is out in cinemas today.